Continuing our monthly Product Update series, this blog post offers a retrospective look at software upgrades made by CashAnalytics over the previous month. Below, you’ll find a close look at a couple of key improvements, which demonstrate our commitment to client lead product innovation. 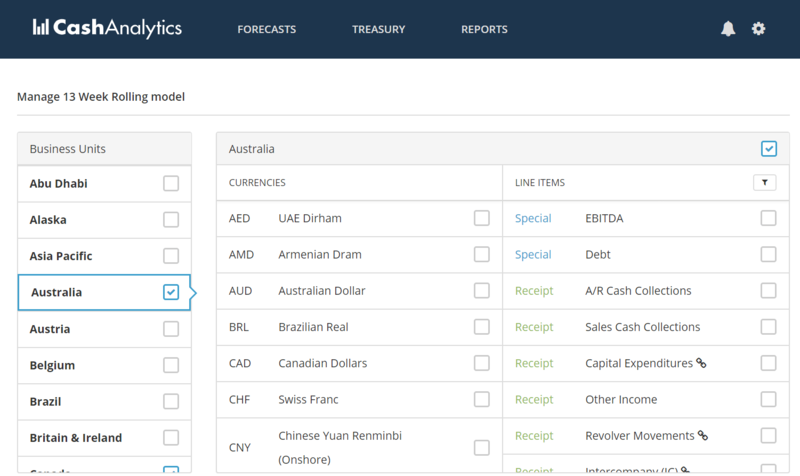 Over the past few months, CashAnalytics has been upgrading the user interface (UI) of our system section by section. In March, the model configuration page (which was the final section of the site to be completed) was upgraded to the new UI layout. The purpose of upgrading the user interface of our systems is to make them more intuitive and easier for users. 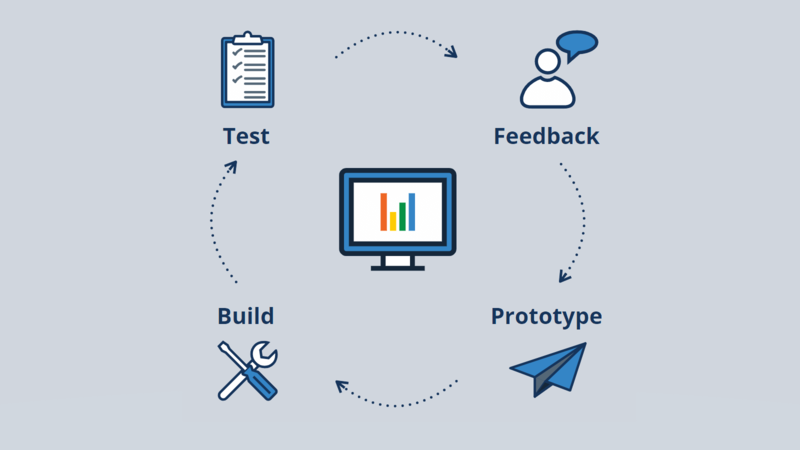 This enables faster rollout across a business, easier training sessions, and improved user experience. All improvements to the front end of our site are carefully considered, and completed after consultation with clients to ensure that the upgrades perfectly align with our clients’ objectives. The consolidation report is a key element of the CashAnalytics system, and is where our clients go to see their data rolled up into headline KPIs. As the system is automated, live consolidated cash balances from across the business are accessible at all times, regardless of how many bank accounts feed into the process. This enables real-time headline liquidity levels to be viewed across all business units. The upgrade rolled out in March enabled users to expand all of the first level rows in the report at once, as well as being able to collapse those expanded rows back into headline figures. Additionally, extra parameters were added to the “Group By” dropdown, allowing the user to group by Business Unit and by Business Group. 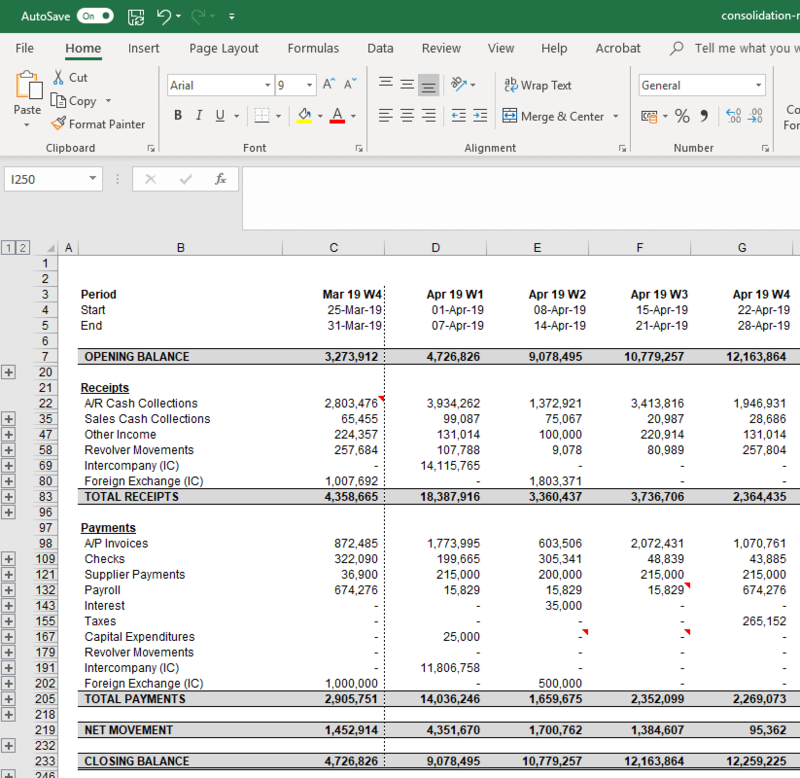 We recognise that some of our clients still prefer to export the data from our systems into excel, therefore we reviewed and improved the formatting features on the export option for all excel reports. The improvements mean that formatting and grouping features are automatically carried over when the export button is pressed. Therefore detailed, well organised reports in an excel format can be generated quickly and easily. If you are not a CashAnalytics client but would like more information on our software, please contact us so that we can arrange a demo at a time that suits you.